Ford Motor Company has filed applications to register Mach E and Mach-E as trademarks with the United States Patent and Trademark Office (USPTO), Ford Authority has discovered. 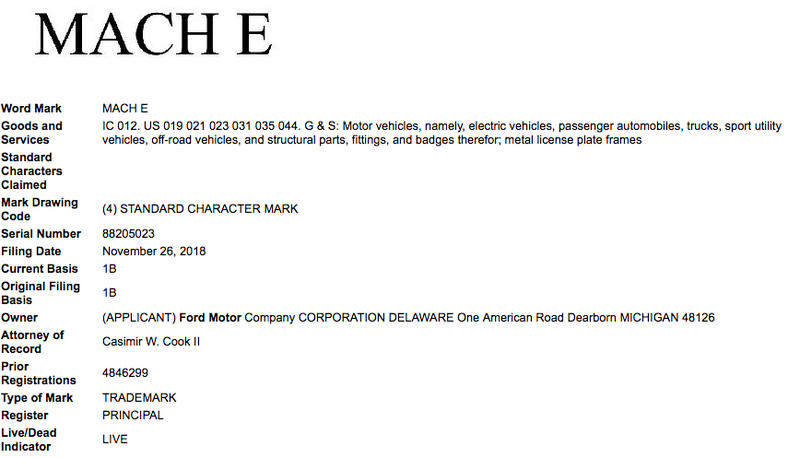 Based on this trademark filing, it would appear that Ford is planning on using the Mach E or Mach-E moniker, probably to name the high-performance derivatives of its upcoming electric vehicles. The name builds on the well-known and (generally) well-respected Mach moniker that Ford used in the past. For instance, we can imagine the Mach E name being applied to various future Ford models. Back in May, we shared a list of confirmed future Ford electric vehicles and electrified variants. The list includes various hybrid models, as well as two crossovers. The first is an unnamed electric crossover with a 300-mile range, while the second is an unnamed, performance-oriented crossover. Stay tuned to Ford Authority as we learn more, as well as for more Ford news coverage.